Have you ever wished there was a way to give your body a quick boost of energy, reduce your stress levels and even slow down the ageing process? Well you have tools to help you achieve all three of the above at your disposal, you just need to learn how to use them to get the best possible benefits. These tools are contained within the disciplines of yoga, meditation and breath work, and they are easy to learn and put into practice in ways that will benefit you. Yoga is widely known to be a calming and also rejuvenating therapy, but did you know that yoga inversions, poses where your place your head below your heart, can actually help work against the pull of gravity on your body and do great things for your overall health? Poses that can help include the more basic poses of downward dog, the standing forward fold, legs up the wall or Viparita Karani, but also the more advanced shoulder and head stand, and the wheel. You do not need to be an advanced student of yoga however to gain the benefits as any inversion will have the same benefit. Who knew that turning your body upside down could be such an effective boost for your body and mind? It’s said to work by reversing the blood flow around your body, which helps to rejuvenate it. Meditation can help to slow down the ageing process in the brain in the same way that yoga inversions rejuvenate the body. It’s been shown that people who meditate regularly tend to have more blood flow to their brain, improving brain functions like memory and attention. Meditation is also well known for being a great way to reduce stress levels and has been shown to actually help decrease the production of stress hormones. A daily meditation practice doesn’t have to be complicated, you could just set a small routine like finding three things to be grateful for every morning or before you go to bed at night. You can then focus on being grateful for them, thinking about them as you focus on your breathing. It beats stressing about your to-do list or checking your Facebook. 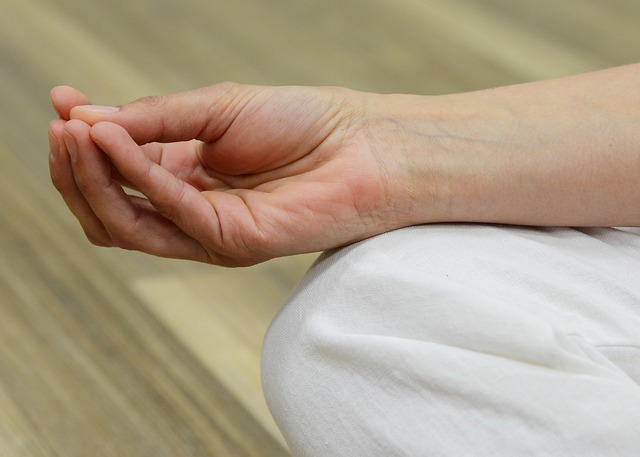 You could also try your hand at seated meditation – this is where you sit in total stillness, letting your thoughts and that pesky voice in your head wash over you. Imagine yourself just being an observer of your own thoughts. Start with a minute and see how long you can manage. Learning breath work – with a deep, slow breathing practice – can help slow and regulate your heart rate, calm a stressed nervous system and bring more oxygen to your cells, giving it powerful anti-ageing properties. If you’ve ever experienced alternate nostril breathing in a yoga class, you’ll know what I mean. It’s a breathing technique that can benefit everyone. The idea is to completely focus your awareness onto your breathing, which will help to calm your mind and invigorate your body. It’s an easy practice to take up as you can do it absolutely anywhere. Start by taking deep, slow, controlled breaths wherever you think about it; you can do it in a traffic jam, while you’re at work or in a supermarket queue. Now block one nostril and breath in through the open nostril. Hold that breath for a couple of seconds, block the nostril you inhaled through and open up the closed nostril and exhale through that. Breath in through that nostril and close it off with the thumb or finger, open the other nostril and exhale through that one. continue breathing in and out through alternate nostrils for as long as you feel comfortable. You should start to feel a difference after several focused breaths. Allow your breath to come back to normal breathing and take time to notice how you feel. The main thing I always tell my students though is that yoga is non-competitive and about awareness of your own body. Taking the time to check in to how your body is feeling will start you on the road to the self awareness and calmness that yoga can provide.